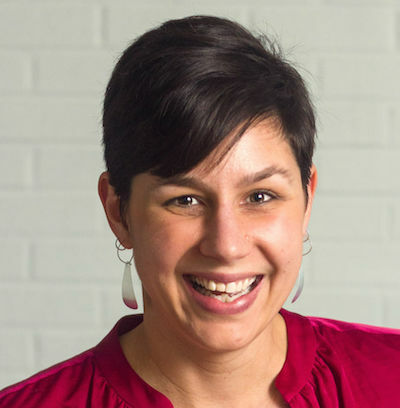 Data-master Heather Yandow is the brains behind Third Space Studio’s annual Individual Donor Benchmark Report (IDBR). This report offers a detailed analysis of fundraising data collected from small organizations nationwide whose total revenues fall under the $2 million threshold. Not a numbers fan? Not to worry. In this post, Heather offers “real-world” reasons to explore your organization’s data and explains why analyzing these statistics can lead to fundraising success. What exactly is the Individual Donor Benchmark Report and what is the goal behind it? Heather Yandow: The Individual Donor Benchmark Report is a donor data resource for small and mighty organizations. Each year, we gather detailed fundraising data, like retention rate and average gift size, from organizations with total revenues of less than $2 million. This project was borne out of the realization that many small nonprofits faced a real challenge in finding usable data to benchmark their efforts. There were (and are) reports that looked at all giving, or even zeroed in on online fundraising, but the data was largely inapplicable for small, grassroots organizations. An organization that raises $50,000 from 100 people cannot accurately compare itself with an organization that raises $5 million from 10,000 people. As a math major with a history of fundraising and a love of data, I set out to solve the problem. In 2012, I conducted the first Individual Donor Benchmark study. Last year, 119 organizations from around the country contributed their data to the project. You can sign up now to participate in this year’s survey. Organizations raise 34% of their revenue from individuals. 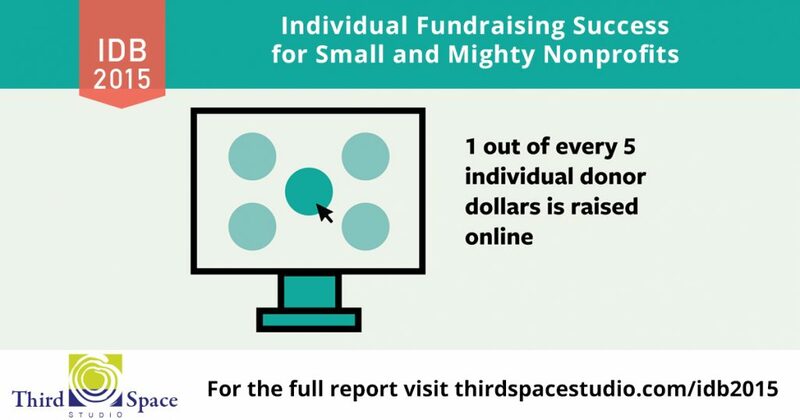 This data point is almost the same as last year’s result of 36%, indicating that this may be a universal truth about fundraising for small, but mighty, nonprofits. About half of individual donor revenue comes from donors giving less than $1,000. These “everyday donors” give an average gift of $208. The average organization has 581 supporters in this category. The average organization also has 30 major donors (those giving $1,000 or more) giving an average gift of $3,961. One out of every five individual donor dollars is raised online. The percentage of online giving is up from 17% last year, and has been slowly increasing each year. The average online donor gives $219, significantly lower than the overall average gift of $533. Four out of ten board members are active in fundraising in a significant way, including attending donor meetings, making introductions, and hosting donor events. Organizations are raising about 14% of their income from recurring donations. These regular monthly (or quarterly) donors tend to give more, an average gift of $754 annually, compared to the overall average of $533. Click here to download the full report (and infographic). Why is data so important for small nonprofits? How can these organizations use data to drive success? All of data types are needed to gain insight into your organization’s work and improve outcomes. To better understand performance and outcomes, basically how you compare with others and yourself. To create new questions and explore new areas of your work. This should be done after examining your performance, of course. To run experiments that test new ideas and old assumptions. To communicate with others about what’s working, what’s not, and how you might improve your work. Don’t have a good system to easily track your fundraising data? Check out Network for Good’s donor management system, designed specifically for small nonprofits. How do I get started using more data – what’s step one? How many donors are we losing every year? And how many new donors do we have to find each year to maintain our donor base? How many new donors do we find each year? Where do they come from? How much do we raise online? What’s the average gift online? How does this year compare to last year? For each of these questions, think about the data you already have access to through your database or other records. Also, think about the data that would be easy to collect with your current resources. The goal is to start where you’ve got easy access to data, find some insights to strengthen your fundraising program, and then focus on the next question. One way to jumpstart your fundraising data collection is to participate in the Individual Donor Benchmark Survey. By taking part in the survey, you’ll receive a personalized report of your data, and find out how you stack up to all of the other organizations in the project.